Woodall Country House and Spa is set amongst peaceful citrus orchards only minutes from the Addo Elephant Park in the malaria-free Eastern Cape. 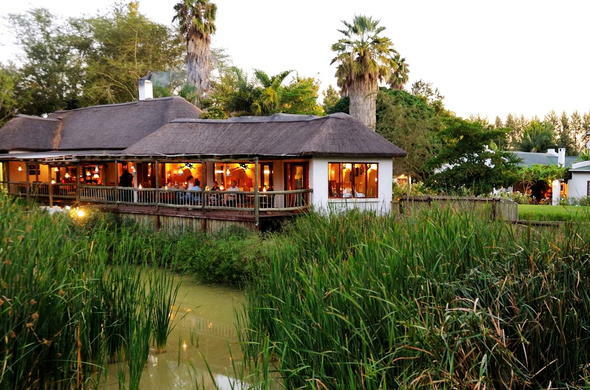 Woodall Country House and Spa is located only a few minutes from the Addo Elephant Park, which set in the beautiful Sundays River Valley, stretching from the Indian Ocean to the Zuurberg Mountains. This malaria-free area enjoys a temperate to warm climate with an annual rainfall of 450mm occurring evenly throughout the year. Summers are hot and sunshine days are plentiful, with a chill in the valley during wintertime. The Sundays River Valley is home to the famous Addo Elephants that once roamed the area freely, as well as mile after mile of evergreen citrus trees that bear fruit all winter and fragrance the air with their blossoms in spring. This area is world renowned for its citrus fruit production and is South Africa's largest producer of lemons. A wide range of outdoor activities are available in and around Woodall Country House. Tailor-made birding and botanical tours in the Addo region can be arranged with highly experienced specialists within these fields. Game drives are conducted in Woodall's luxury open topped safari vehicles. Woodall Country House has a fully equipped gym offering cardiovascular and strength training equipment. The spa has a wide range of beauty and body treatments. You can treat yourself with great peace of mind knowing that beauty therapists with internationally recognised qualifications on site.